Movie lovers: Pack your bags and head out to visit the location of your favorite films. Whether it’s Hogwarts’s Great Hall or Amity Island’s shallow, shark-infested waters, you can book a few nights at a familiar destination and feel like you’re part of the action. Embrace the cheesy nature of your trip and venture out to explore the surrounding areas. It will be an epic vacation worth the effort. Plus, you’ll get serious Cash Back when you book at Ebates. If that’s not Oscar-worthy, I don’t know what is. Alexander Farm was the inspiration for Peter Jackson’s interpretation of J. R. R. Tolkien’s “The Shire,” which is why he chose the rolling hills of this sheep farm in Waikato, New Zealand as the location for “Lord of the Rings.” Epically Middle Earth, there are few signs of modern life on the farm and plenty of kitschy Hobbit experiences to be enjoyed. For LOTR buffs, this is a must-visit. Take a full day tour of the movie set through Expedia and be sure to have a drink at the festive Green Dragon Inn. Christ Church College in Oxford, UK was not only the inspiration for the Harry Potter films, but it did serve as a primary movie set in many of them. Visit and you’ll get to glimpse the Great Hall, the library and the Hogwarts infirmary. For a cozy stay, book a room at nearby Macdonald Randolph Hotel in Oxford, where you can have tea just before heading out to indulge your inner witch or wizard. Completely renovated to look just like the actual film—down to the leg lamp—the house from legendary holiday movie “A Christmas Story” is worth a stop in Cleveland for any cross-country traveler. Across the street is the museum gift shop, where you can score your own decoder ring. On Thailand’s Koh Phi Phi Leh, you may not experience all of the same thrills of “The Beach,” starring Leonardo DiCaprio. You can, however, catch some hidden beaches and lush backdrops from the film. Here, the water’s turquoise hues and towering rock islands will have you wanting to book a room for the week. The Phi Phi Island Cabana Hotel, available through Agoda, is a good choice for a luxurious stay. Visit the Hamakua Coast on the Big Island in Hawaii to imagine yourself in the world of “Avatar.” Though David Cameron’s vivid imagination inspired a majority of the film’s CGI moments, the lush rainforest and pristine waterfalls that enliven the backdrop are not imagined. Kalopa State Recreation Area and Akaka State Falls Park are good places to start your adventures. Hamakua Ranch B&B is a great nearby spot to call home while jaunting in and out of the trails you know and love from the movie. Book through booking.com for a great deal. Off the coast of Massachusetts, you’ll find the quaint island of Martha’s Vineyard, otherwise known as “Amity Island” from Steven Spielberg’s 1975 film, “Jaws.” The town of Edgartown was taken over by the cast and crew for its quaint fishing-town feel and shallow surrounding waters—the perfect backdrop of a town terrorized by a series of terrifying shark attacks. Visit the Vineyard, but maybe stay out of the water unless you have a big enough boat. The Harbor View Hotel at beautiful Lighthouse Beach is a great choice for coastal New England charm (and occasional shark viewing). 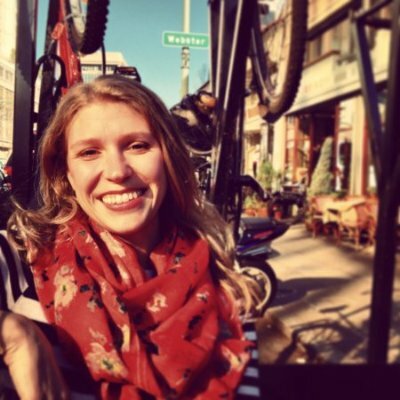 Chelsea is a freelance writer living in San Francisco, specializing in lifestyle and travel. When she can't get on a plane herself to visit somewhere obscure (Montenegro anyone? ), she's training her sweet puppy and taking visitors to wine country with her fiancé. She loves being able to share ideas and stories proving that doing good and having fun can go hand in hand.